Mangaluru, Jan 25, 2018: Illegal sale of liquor in rural areas in the district has increased following ban on sale of liquor within 500 meters along the national and state highways. From July 1, 2017, when the ban was imposed and all the liquor shops and bars within the 500 meters from the highway were evicted, the excise department official in the district have registered 536 cases of illegal liquor sale and seized 328.57 litres of liquor. It was revealed at the recent general meeting of the zilla panchayat. Post ban, many people had complained to the authorities concerned about illegal liquor sale in petty shops, provisional stores, houses and by individuals. "After the liquor vends were evicted from the highways, people had to travel long distances to get liquor. Cashing in on the situation, some people have been purchasing liquor in huge quantities and selling in areas where there are no liquor shops for almost double the MRP. This is happening even now in rural areas," revealed a person from Moodbidri, who had earlier approached the excise department to curb such activities. "Despite a crackdown by the excise department in some areas, the illegal liquor sale is still thriving in rural areas of Moodbidri," he complained while refusing to be named. Hoever, the excise department says otherwise. " 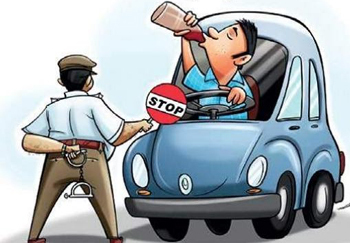 The illegal sale of liquor in rural areas is a common problem due to the unavailability of liquor vends and it has only increased after the highway ban. Every month, on an average excise department books more than 100 cases in the district. If people pass on the information about illegal sale of liquor in any place, we will take necessary action," said Shailaja Kote, excise deputy commissioner, speaking to TOI. "The majority cases are booked in rural areas of Mangaluru taulk, Puttur, Sullia and Belthangady taluks." Fake complaints : Kote also highlighted that a few complaints filed about the illegal sale of liquor found to be fake after varification and lodged due to personal enmity. Recently, four teams of excise department officials raided a village on receiving complaints about the illegal liquor sale only to learn that it was a false complaint. Quite often we receive such complaints," she said.